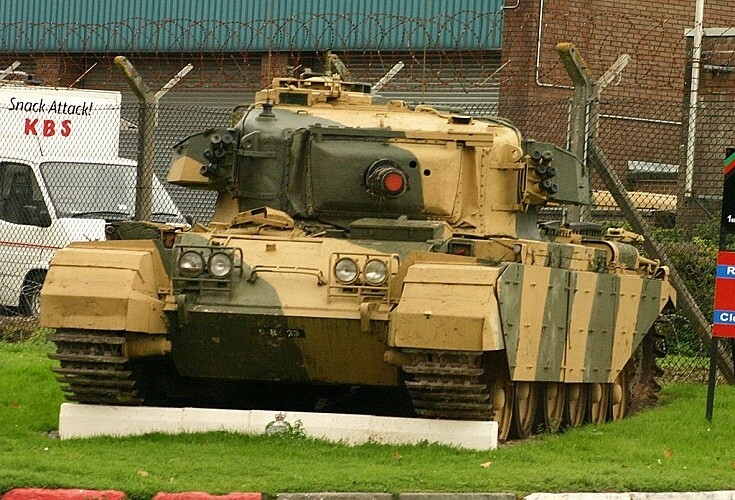 Centurion was the first post-war British tank which enjoyed an excellent reputation, especially for its superb 105mm gun. The chassis might still be encountered as specialist engineer vehicles, but these are being phased out in favor of Challenger 2 variants. See picture #291 for some more info on the Centurion.